I've read over and over and over and am reading now...THE CAPTAIN UNDERPANTS SERIES!!!!! By Dav Pilkey.SNAP!!! !Mr.Krup is now....CAPTAIN UNDERPANTS!! !George,Harold and Captain Underpants go through many adventures fighting off evil people including The Wicked Wedgie Woman,The Bionic Booger Boy,Professor Pippy P. Poopypants,The Talking Toilets,The Incredibly Naughty Cafeteria Ladies from Outer Space and The Purple Potty People. Each are great books and if you read these books and like them, you might want to try RICKY RICOTTA'S MIGHTY ROBOT also by Dav Pilkey. There are EIGHT books total.I encourage you to read them. T hanks, Sammer! Yep, Dav Pilkey seems to be a real favorite with guys. We can't keep the Captain Underpants or Ricky Ricotta books on our shelves because someone is always checking them out. Do we have any other Dav Pilkey fans out there? Let us hear from you!! Sammer Tells Us About a Wimpy Kid! I am reading the Diary of A Wimpy Kid series. My! They are so funny. The first book is called A Novel in Cartoons, followed by Roderick Rules. Then there is The Last Straw and then Dog Days. The last one is The Ugly Truth. In each book Greg Heffley keeps getting into more trouble in every single one and it keeps getting funnier and funnier. Greg was always pushed around by his older brother, so he thought he could do all the tricks to his little brother Manny that Roderick did to him. But his parents protected Manny like a valuable item that you would die if you lost it, so Greg is pushed around by his little brother too. 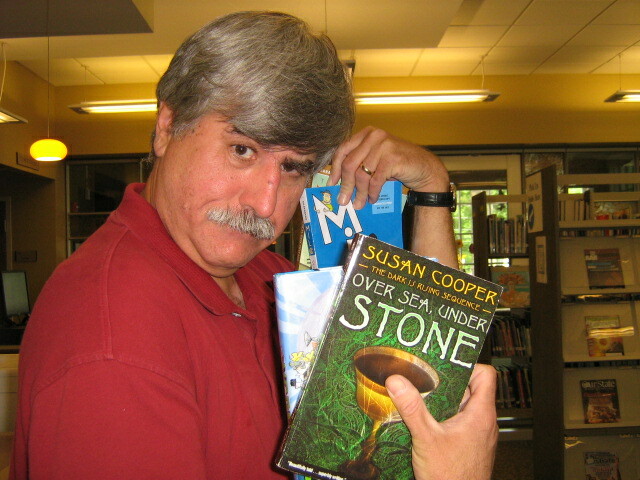 If they sound interesting to you, you should go and get them at the library! Thanks, Sammer! A lot of guys like the Wimpy Kid books. A whole lot of guys! That's why I hate to bring this up but----I'm NOT a Wimpy Kid fan. Sorry! Greg Heffley just doesn't do it for me. "Why not??" you ask. Well, I don't have time to talk about it now (the library is really busy today) but I will when I review another book later on this week. How's that for grabbing your attention? Stay tuned, reading fans--same book time, same book channel! WOO-HOO!!!! School is OUT!! Isn't that a great sentence? School is out and summer's HERE! What a great time of year--long, lazy days with no homework, lots of trips to the pool, time to hang with your friends, etc. etc. And, of course, time to READ!! Now sometimes, with all the fun stuff going on during the summer, reading can get sent to your brain's back seat. That's why the library offers a Summer Reading Program every year. We try to encourage guys to read by offering prizes for reading! You can get prizes for 10 hours and 20 hours of reading. It doesn't matter what you read--chapter books, magazines, graphic novels, biographies, nonfiction, whatever. 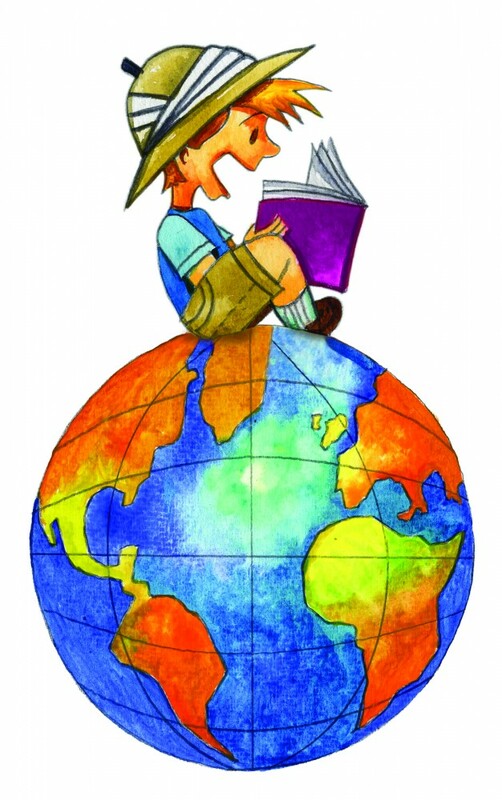 The Summer Reading Program starts tomorrow, so go to any branch of the Charlotte Mecklenburg Library and pick up your reading record, which marks the number of hours you read. 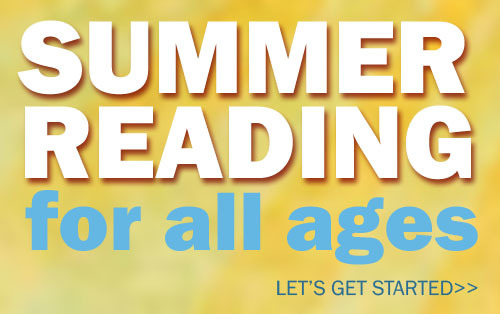 If you can't make it tomorrow, don't worry--Summer Reading goes from June 15 to August 10, so you have plenty of time. Got any more questions? Click here to find out. And if you're looking for a good read to kick start your summer, you couldn't do better than The Throne of Fire by Rick Riordan. It's the second book in the Kane Chronicles s eries. In the first book, Charles and Sadie Kane find out that their father was not only a famous Egyptologist but also a powerful magician who accidentally released the ancient Egyptian gods into the modern world. In this book, Apophis, the Serpent of Chaos, is about to break out of his ancient prison. If that happens, he'll devour the sun and end the world. Carter and Sadie race against time to awaken Ra, the chief Egyptian deity and the only one strong enough to oppose Apophis. But Ra has been asleep for thousands of years; if they do awaken him, will they get anything other than a doddering old man? Rick Riordan has written another winner in this book. It's got everything you'd expect from the great Mr. Riordan--fantastic adventures, battles with monsters in the middle of big cities, secrets that get revealed slowly throughout the story, and humor that will make you laugh out loud over and over again. Along the way you get Carter and Sadie trapped in underground tombs by a zombie army, the two kids chased by a vulture goddess, and help from a very ugly dwarf in a Speedo! Laughs and action. What more could a guy want? If you've never read one of Mr. Riordan's books, you could start with this one and not miss anything--but I'd recommend you start with The Red Pyramid first. Or, better yet, get them both and read one after the other. You've got time--it's summer! The Iron Guy is not one to rest on his laurels. Lesser mortals would be content to bask in the glow of completing the 48 Hour Book Challenge, but not me. I'm back at it again, letting you boys know about more good books. Actually, it's our old friend Michael, King of Books and Time Travel, who's telling you today. He's written another of his first-class reviews. In this thrilling new book from Gordan Korman, four kids find themselves to be unlikely friends aboard the largest moving man-made structure ever built: the Titanic. Paddy is a stowaway escaping from a rich gangster that he stole from. The gangster is out to kill Paddy, but the boy is safe on the ship... right? Alfie is one year underage, but he's lied about it and is given a job on the huge vessel. But when Alfie and Paddy learn the truth about each other, will one turn the other in? Sophie is being kicked out of England because of her mother's obsession with women's rights to the point of breaking the law. Sophie becomes close friends with Juliana, or Julie for short. Julie is the daughter of the 17th earl of Glamford, but her father drinks and gambles, so how long can they afford their baord on the ship? And when the two girls find out about the two boys, who will have the upperhand on the other? It's a very well-written book to start off another one of Gordan Korman's famous trilogies! 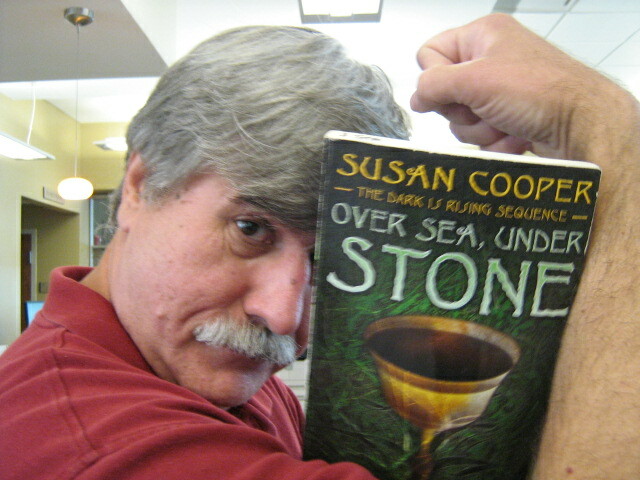 In the future look for book 2: Collision Course, and book 3: S. O. S.
Thanks, Michael! Gordon Korman is one terrific writer. I really enjoyed his Island trilogy. The Titanic storywould make for a very exciting read, especially in his hands. Can't wait to hear about the other two books! How about the rest of you? Have you read any Gordon Korman books? Let us know! 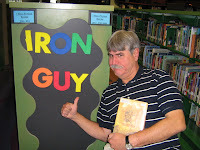 Yes, everyone, the Iron Guy may get tired but he does not flinch from his duty! I've come to the end the 48 Hour Book Challenge and have made not just 14 but a full FIFTEEN hours of reading, listening, and social network time. For all of you who may have worried that I would pass out from my exertions, put away your fears. 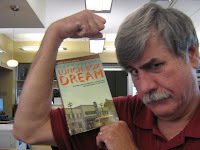 I am fresh and ready to pick the next book worthy of sharing with all you guys--after a good night's sleep, of course. and I listened to some more of The Last Battle by C. S. Lewis as read by Patrick Stewart (aka Captain Jean-luc Picard) It turns out that I was able to listen to one audiobook over the weekend, not just one hour as I said yesterday. Some people kept detailed records of how much time they spent on each book and my hat is off to them. I didn't do it (it's hard to record time with the sweat of effort in your eyes) but today's time, as I said, amounted to 7 1/2 hours for a grand total of fifteen. Some people read 20 plus and 30 plus hours. Our good friend Ms. Yingling read 35 hours! My hat is wayyyy off to her. My cause was the Charlotte Mecklenburg Library. The rules say that I'm supposed to tell you how much money was raised but I can't do that yet because I won't know for a while. Some people have donated already (including author and great guy Alan Silberberg) but several won't donate until after the Challenge is over and I notify them of how many hours I read. So I'll let you know when I find out. If you would like to donate, go this post and find out how. Thanks to all you who have written and to those who have donated. Thank you, Ms. Pam of Motherreader for hosting it. This was a great experience and I look forward to next year's Challenge. And go out and find the books I've mentioned! The Iron Guy Gets His Challenge On! All kidding aside, today really has been a test of my endurance and determination. I worked yesterday, so I planned on starting the 48 Hour Book Challenge today around 7:00 am. But in one of those oddball twists of fate, I just couldn't sleep last night. I lay there and couldn't sleep and couldn't sleep (or, at least, didn't sleep much), so I got up around 12:30 am and read. Then again about 2:00. Then again around 4:00. At 7:00 I took the dog outside and so started the day. It was hard being sleepy and trying to read as well as take care of obligations but, hey--I'm the IRON GUY! I got it done! What did I read? Well, late last night I wanted to read a grownup book, so I got out The Philosophical Breakfast Club by Laura J. Snyder. I know that sounds like a highfalutin' title for a MANLY MAN like me, but the parts I read were very interesting, all about the founding of modern science. When I got up again, I finished The Throne of Fire by Rick Riordan. During the day I read Milo: Sticky Notes and Brain Freeze by Alan Silberberg. I'll give complete reviews another time but for now I'll say that Mr. Riordan has written another winner, full of magic, full-tilt adventure, and lots of what our good friend Ms. Yingling calls "snort-through-your-nose-funny" humor. 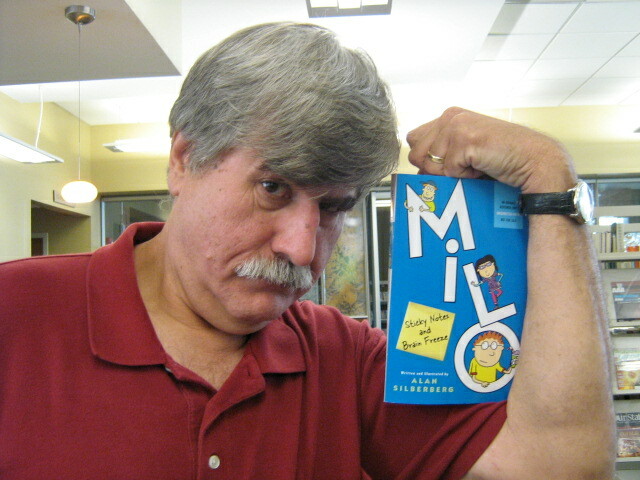 And Milo will certainly appeal to all you Diary of a Wimpy Kid fans because it has that same words-and-picture format--except that Milo is 1000 times better. OK, maybe that's an exaggeration. Milo is at least 500 times better. It's one of those rare and wonderful books that leaves you feeling good. Greg Heffley could make you laugh but didn't make me feel good afterward. Have any of you read it? Do you agree? I cannot say enough good things about Mr. Silberberg's book. Oh, yes, I forgot one more thing. We are allowed 1 hour of audiobook time. I had to run an errand way across town, so I popped in The Last Battle by C. S. Lewis as read by Patrick Stewart. Was very good. OK. Well, the grownups will let us spend 1 hour online writing to other bloggers for every 5 hours we read, so I'm going to get right to it. By the time I'm done, I will have 7 1/2 hours for the day. That's a little over halfway to my goal of 14 hours--15 hours if I can get it done! Wow! Our good friend Sammer has written to us again! This guy's hotter than an afternoon in July! I'm reading Harry Potter 4 by J.K Rowling. The Goblet of Fire shoots up parchment that says VICTOR KRUM,FLEUR DELECOUR,CEDRIC DIGORY and HARRY POTTER. Will he get through to the Tri-Wizard Cup or lose on the way. If you really want to know GO CHECK IT OUT! I'm reading Miami Heat by K.C Kelley. Heat on fire the Heat have made it to the championship again V.S the Dallas Mavericks.Just in 2006 the Heat faced the Mavericks for the championship and the Heat won in 6 games (4-2) will the Heat do it again? Read the book to find out,and if you want more background read Dallas Mavericks also by K.C Kelly.So try the books out some time and cheer for the Heat to win again! Thanks, Sammer! I tried to stay up and watch last night's Heat vs. Mavericks game. The Heat played well and I thought they'd crush the Mavs but Dallas came back to surprise them. (I fell asleep before the game was over!) Can the Heat do it again? We'll see. So you're reading Harry Potter 4. I'd like to hear from you again after you're done and see how you liked it. I might write a post about it this summer and stir up some controversy. Gotta go now and prepare for the 48 Hour Book Challenge. Think I'll bench press Harry Potter and the Deathly Hallows to build up my muscles. 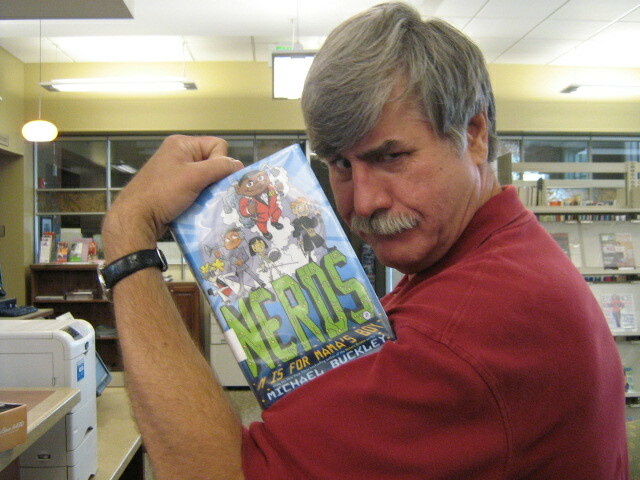 The Iron Guy Picks His Books for the 48 Hour Book Challenge! I'm a big fan of Mr. Silberberg. I reviewed his book Pond Scum a few years ago and gave it a big thumbs-up treatment. (See my review and interview with Mr. Silberberg here) Not only is he a terrific author, but he's also a great guy. He sent me a copy of this book to review but I've been too busy with library work to read it. So here's my chance. Besides, a lot of bloggers have raved about this one. The Dark is Rising is, I've heard, a really great series. Everyone just goes on and on about how exciting those books are. Here's the chance to find out for myself. This is the first in the series. Boy, did I ever enjoy the first N.E.R.D.S. book!! 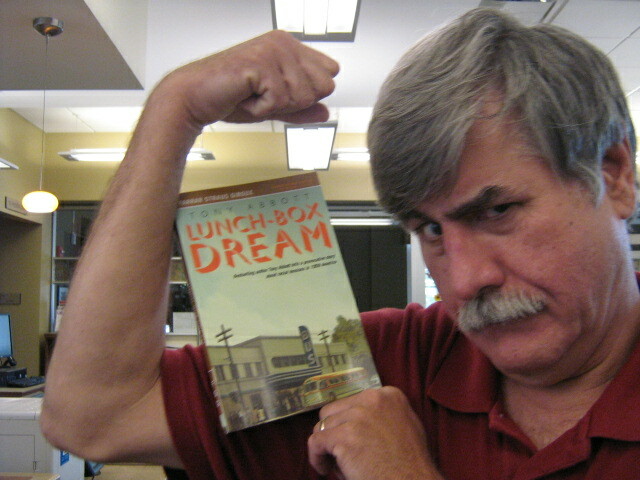 (see my review here) In fact, I liked it so much that I held a boys' book club using it. All the guys liked it too. That's why I'm all excited about reading book 2. Secret agents, goofball humor, and lots of action--how could it get any better? PS--I will post all the results plus instructions on how to donate on Monday, June 6. If you want to find out more about donating, click here and read the post.